My heart is broken beyond repair. Like a fine crystal glass that has fallen onto the floor into so many tiny pieces that reflect and bear witness it was once there and was held and full of joy. a kindness that sinks no deeper than a smile or a word. to be liked… and thought of and treated with the sincerest respect. To know that there is one who holds you deep within and writes your name on the walls of their heart. To matter to the utmost and to be shown in the quiet gentle movements and moments that take your breath away or make you wish time did not exist. To look into the eyes of another and see yourself blooming Like the rose or to see your soul dancing among the lilies … To lay your head down against someone’s heart and believe that in every beat is the mention of your name. To believe in and be believed in with total validation, honesty and truth. To have light and breathe in the light of another and know there is no darkness, no hidden secrets to find or harmful thoughts to injure. To be told and believe that you’re the reason for their joy, peace and love … That everyday your smile makes someone feel loved and alive… the magical power of a simple smile. I wanted to know what love was and you showed me love in its season of glorious colors. But the colors are fading into the gray. I am lucky to have had at least that moment when one can say I have known all this at least even for a season in their lifetime is more than most could ever know. To have walked through the park where dreams and promises unfold. I walk away now inside I resign from the fallen position that has broken my spirit and my heart. I leave this empty space where ghosts only live and only cause one to look back in sorrow and painful dismay. I understand what it is now to be alone inside and out…. To be unnoticed or held in contempt for who I am and who I am not. To be seethed as the liar, the cheat and the thief. To have my crown of pearls, diamonds and gold taken from me and pushed down off from this beautiful pedestal of love that I held precious and so dear. I have fallen so far and it is a perpetual momentum that becomes this sad slow torture as I see what I use to have and what was of this person I have now become. I am gone! I have become like the ghosts… Those who so many times have tortured me because they too once had souls that were not broken. Farewell to love, farewell to myself… Farewell to you… my love. Winter has come and the winds have blown the ashes of my soul away in their bitter cold hands. My dreams have become like the leaves on the trees one by one they are gone each one dying. The sun has hidden its face and snow has covered my footprints as though I never was in this park of dreams. 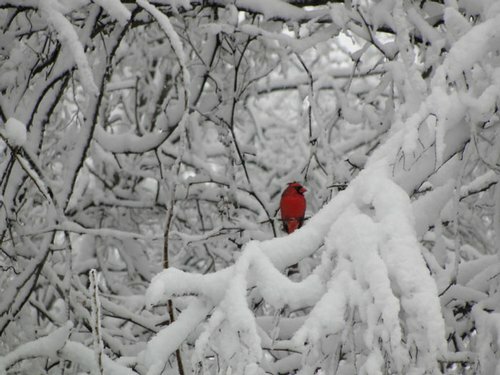 But in the distance a red bird sings hoping for spring again for you and for me. Because one cannot resign hope without breath. The season has changed it is the way of life nothing lasts… But under the winter snow you will find new footprints and the trees will clap their hands once again… The sun will smile and the loyal red bird will still sing. Posted on 11/09/2013, in Uncategorized and tagged BREAKING UP, DIVORCE, GOD, HEARTBREAK, LOVE, religion, SELF HELP, SOUL, spirit, Spirituality. Bookmark the permalink. 1 Comment.